The Placer United Goalkeeping Program is a year-long age specific program for players ages 10-18, designed to develop key aspects of the game needed in order to be a successful goalkeeper. The Goalkeeper Program is inclusive meaning the additional training for this position is offered at no additional cost to the player. The program includes physical, tactical, technical, and mental aspects of the game which are specific to the playing position. 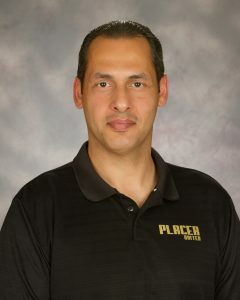 The Goalkeeping Program is instructed by Placer United’s Goalkeeping Technical Director, Bashar Alsakati, former Al Ain FC coach and game analysis coach. Al Ain FC is one of the largest and most successful soccer clubs in the UAE. Every player at this age should experience playing all positions on the field including the goalkeeping position. It is important for the individual player to develop as a soccer player, not just as a goalkeeper. For additional information, contact Coach Bashar.